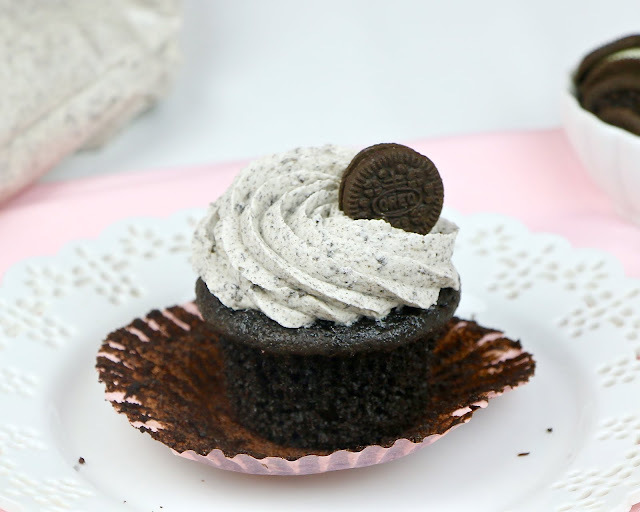 Everyone's favorite cookie, in cupcake form! These cupcakes are the perfect combo of dark chocolate cake and Oreo creme filling on top. 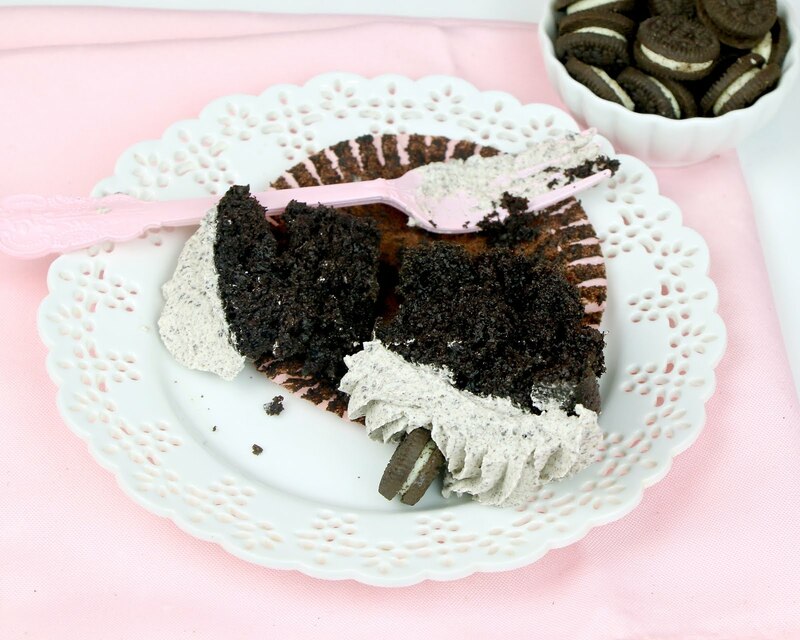 These cupcakes are ultra dark, moist and fudgy and pair perfectly with the cookies and cream frosting. 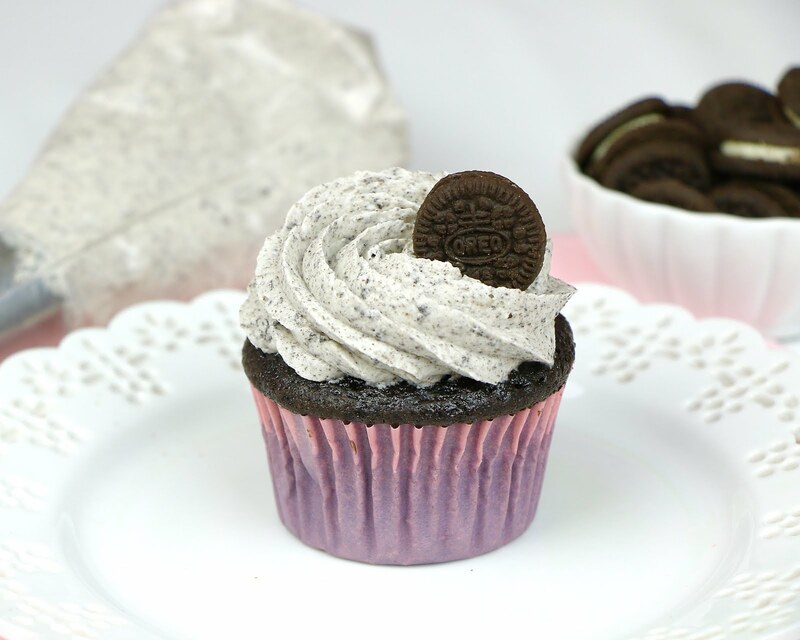 The best part is the bonus cookie on top! 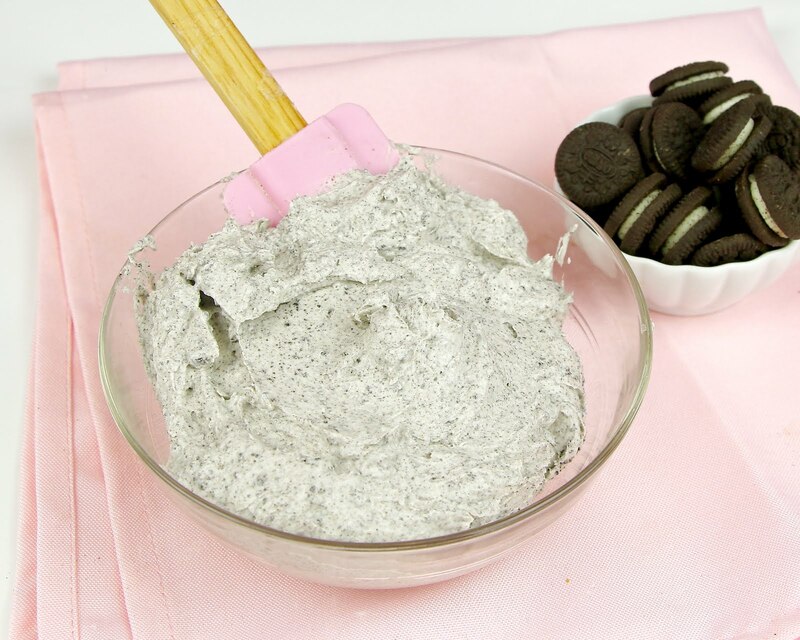 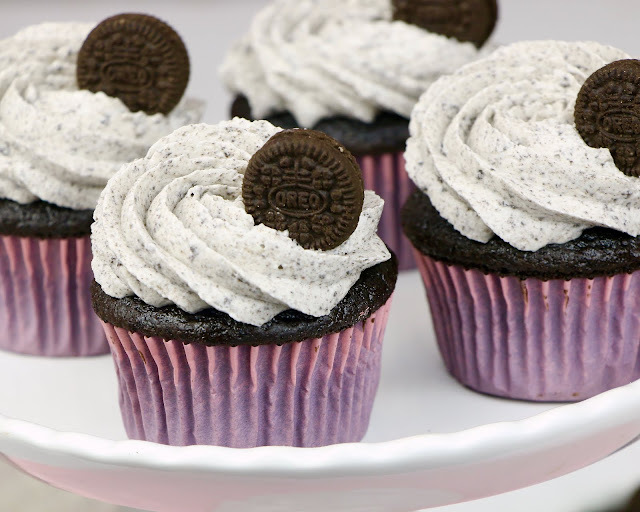 The frosting tastes just like the filling of an Oreo, which for me is like heaven. 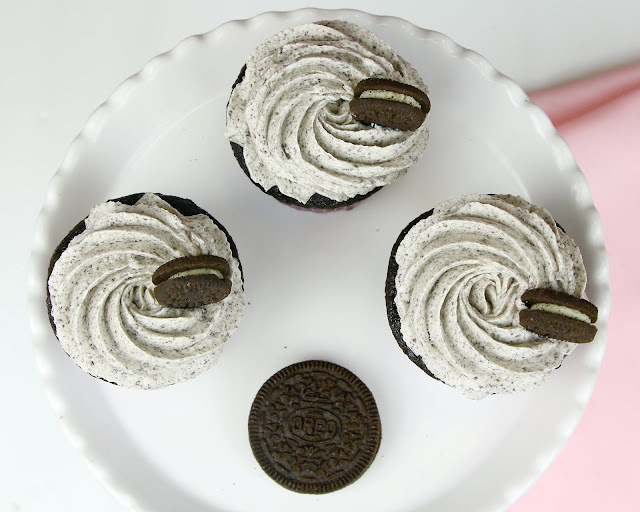 I like to do a nice big swirl on top and finish it off with a mini Oreo. 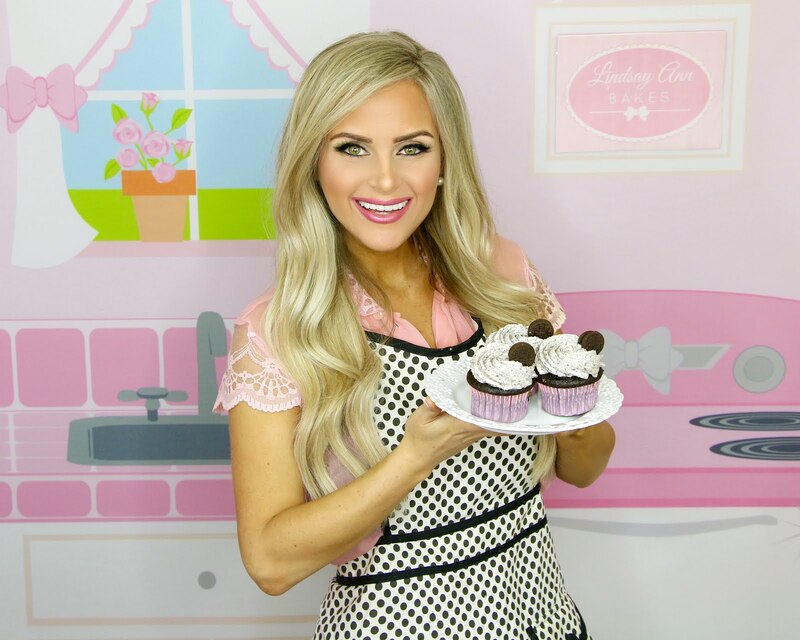 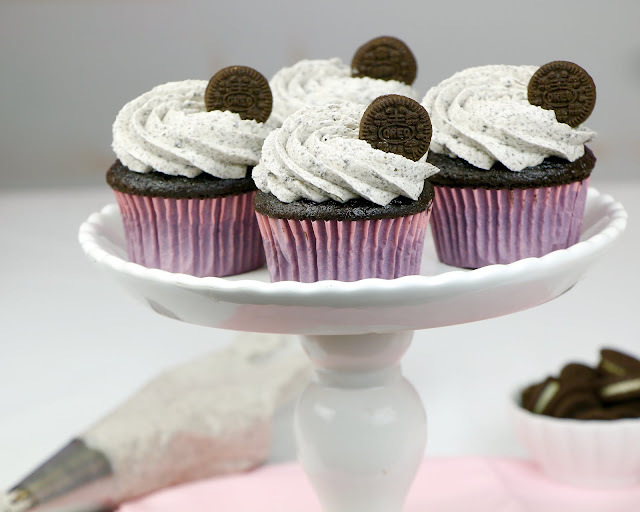 Even make mini cupcakes and drizzle with chocolate syrup! 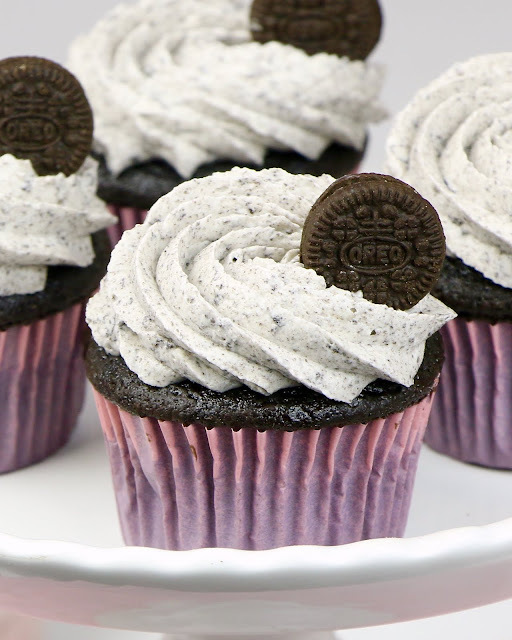 Serve with a cold glass of milk, and you have got the perfect afternoon treat! 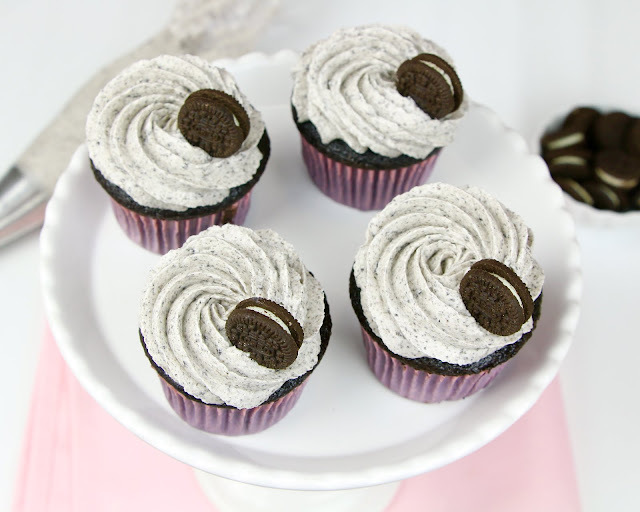 These are probably one of my all time favorite cupcakes, I love the chunks of cookie in the creamy, dreamy frosting and the chocolate cake is just like an oreo cookie, but in cupcake form. 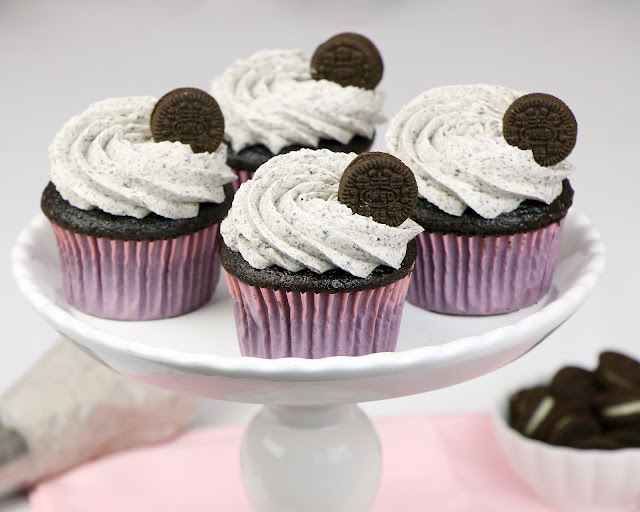 Frost cooled cupcakes. 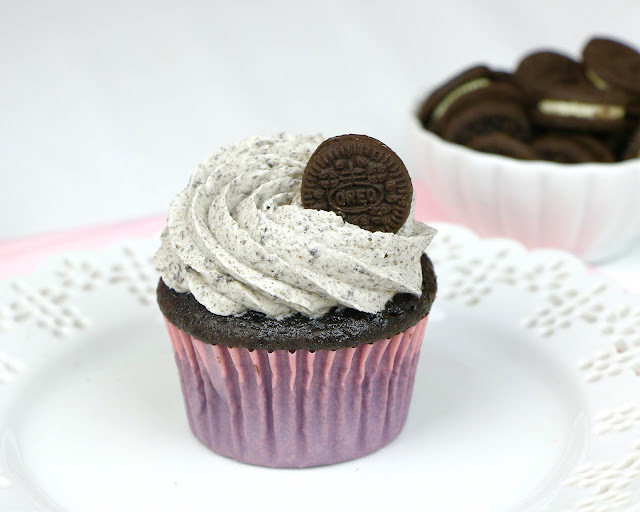 Top with a cookie piece or mini Oreo cookie.